. Or . Quion Shoes | . Or . 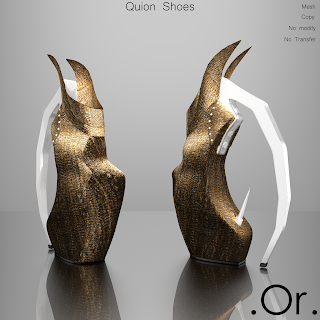 The Quion Shoes are an original mesh creation by . Or . They are copy/no mod/no trans, and do not need any feet from another brand.